Top Rated Siding Company in Staten Island, Brooklyn, and Central New Jersey — B&B Siding and Roofing: #1 local contractor in Staten Island, Brooklyn, central New Jersey. Lifetime Material Warranty + an as long as you own your home labor warranty. Vinyl siding raises curb appeal and eases maintenance worries. Our siding is engineered and designed to look great and perform reliably for years. You’ll have the peace of mind that comes with having a product that demands little-to-no maintenance. So go ahead, lose the maintenance and gain the weekend. Here are just a few of our recent siding projects to inspire your next home improvement project. Why have B&B install your siding? Not all siding companies are the same, so when searching for a siding contractor it is important that you know that the job is done right. We have served over 4,300 clients in Staten Island, Brooklyn and central New Jersey area since 1993. With B&B Siding, each customer has a personal project concierge (a single point of contact). We have 5 star rated customer service and are responsive. Rest assured, your siding installation will be completed on schedule. Lifetime material warranty and an as long as you own your home labor warranty. 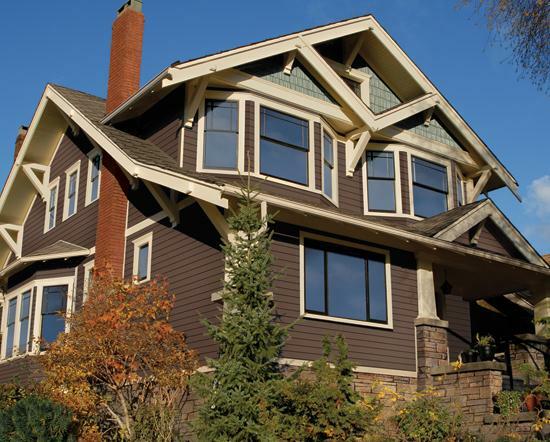 B&B installs a diverse selection of siding profiles, colors and textures to suit a wide range of architectural styles. We partner with siding manufacturers that engineer weatherable siding that provides a virtually maintenance free protective cladding for your home. Brands includes: Royal Crest, CertainTeed, Crane, Napco, Allura, Azek, James Hardie boards and plank. Scroll down to see your options. Siding options include: fiber cement, trim boards, batten, cedar, lap, stucco, and wood. Not sure what you need to make your dream home a reality? Let the regions top siding company help. Complete this form and we will contact you right away. No worries. Start by learning the top 9 Questions To Ask When Hiring a Siding and Roofing Contractor. B&B Siding has helped over 4,300 of your neighbors improve the look and value of their home, and we’d love to help you, too! We have over 25 years of experience in Staten Island, Brooklyn and central New Jersey. Our goal is to make your home improvement process straightforward and hassle-free. Our non-commissioned advisors are available to answer any questions you have. Find some inspiration for your home makeover. Choose from a variety of vinyl siding colors. B&B Siding offers a portfolio of colors that align with today’s design trends from classic, traditional colors to dramatic dark colors. So, you can find a color which fits your design aesthetic. We also offer color combination suggestions and a home design tool to assist you in creating a home you can be proud of!